TRY CHEF EDEL'S FEATURES - NEW EVERY WEEK!  Whether you crave one of our all-natural burgers & fries, or you just need a tasty, crunchy salad to get you through the day, or even if your favorite is are our wood-grilled steaks and daily market fish or dipping your spoon in one of our desserts… It's time for Fielding's Wood Grill. Find your new favorites on the menu below and dig into our ever-changing weekly features. This medium-bodied wine shows kumquat, lemon, white peach, and starfruit. Fresh acidity frames the pure, clean finish. Fresh daily, sustainable or wild caught. A. Q.
fresh daily, sustainable or wild caught. A.Q. house-cured grilled bacon, honey Dijon, lettuce, tomatoes, milk bun. rotisserie chicken, dashi lime glaze, pickled daikon radish & carrots, cilantro, mint, cucumber, milk bun. twin smashed beef patties, double American cheese, lettuce, tomato, mayo, pickle spear. Angus patty, scallions, bacon, cheddar, lettuce, tomato, jalapeños, poblano, mayo, milk bun, cooked med-well. Angus, grilled bacon, fried egg, aged Italian provolone, oven-dried tomatoes, grilled onions, truffle bacon mustard, lettuce, milk bun. Angus patty, house mayo, lettuce, grilled onions, tomato, b&b pickles, milk bun. Angus, grilled bacon, Point Reyes blue cheese, pickled red onions, fig jam, jalapeños, lettuce, wheat bun. maple-glazed thick bacon roasted tomatoes, pickled red onions, blue cheese dressing. arugula, orange, goat cheese, pine nuts, lemon juice + extra virgin olive oil. Pulled free range chicken, avocado, smoked bacon, baby greens, Point Reyes blue cheese, tomatoes, balsamic vinegarette. Grana Padano cheese, house croutons, roasted garlic dressing. Rice milk, cinnamon, honey, Mexican vanilla. Yogurt pretzel, house strawberry basil preserves. Roasted peanuts, grey sea salt, house caramel. Buffalo Trace Kentucky bourbon, toffee.